I'm sharing with you a trick that I learned back in my hand quilting days. It seems like no matter what you do to trim threads before you get a quilt basted, there are stray dark threads that show through on the front of the quilt. This is a particular problem when the top is white or light colored, and a dark colored thread gets trapped between the top and the batting. Here's a gray thread from the seam that showed up. I use the tiniest crochet hook, size 13, 0.85mm. It is so tiny you can hardly tell that it is a crochet hook. 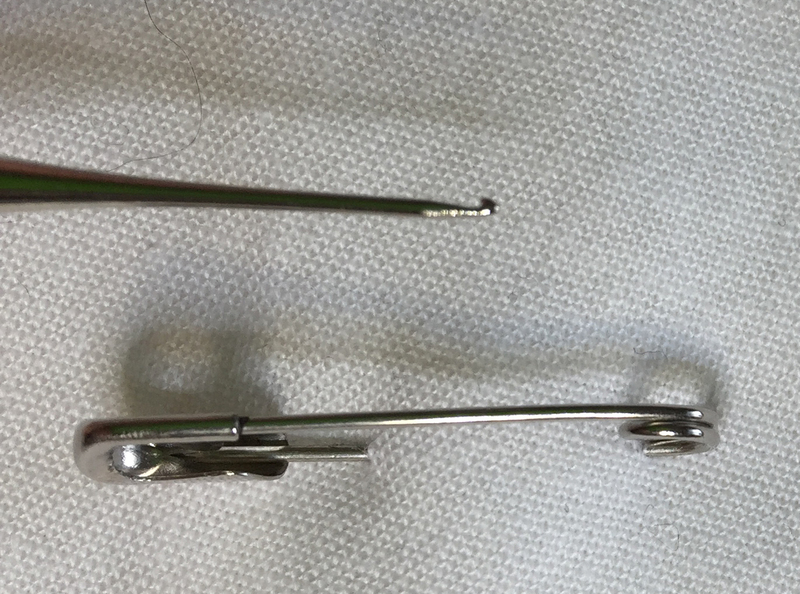 I've shown you a picture of the tip next to a safety pin that is 1" long. It fits easily between the threads of the top fabric, and if you scoot it carefully to the thread, you can scoop it up and pull it out. Here are some pictures showing you how it works. Insert the crochet hook close to the thread and work it just underneath the thread. Pull out a little hook of the thread, then pull this little hook of thread until you get a tail, or the whole piece. You may have to go in a second time to get the last little bit. 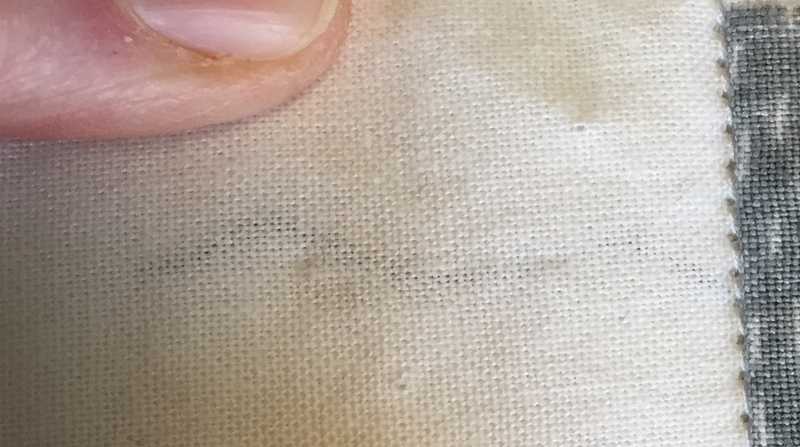 If the thread is attached to a seam, go in close to the seam. I can't remember where I found this crochet hook. I think it was at a specialty store, not a big box place. I have used it like crazy to get those pesky little threads out of the quilts. I hope you can find one and use it on your quilts too. Great fix for those 'hidden' stray threads that you find AFTER quilting! Block Contest Entry - A Nest!